There are lots of sporty looking watches on the market these days, as buyers tend to like watches with multiple dials, rotating bezels and chronograph features. Many of these wristwatches may be casually referred to as a dive watch, but a true watch made for diving in deep water has to have certain characteristics and features that will allow them to work well in a harsh environment as well as provide useful, and perhaps life-saving, information to the wearer. 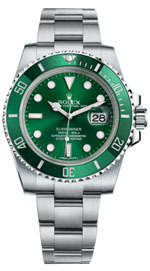 The Rolex Submariner, introduced in 1954, is regarded as the world’s first true diving watch, and others that have followed have been inspired by its design. First and foremost, a good dive watch has to offer good water resistance. Most timepieces sold today offer some degree of water resistance, but you should generally err on the safe side when reading the specifications on a particular model. Many watches sold for evening wear may be rated at 50 meters of water resistance, but they really aren’t suitable for use in 150 feet of water. 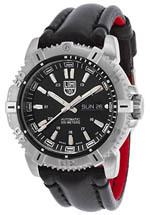 True dive watches will have a minimum rating of 200 meters, and some are rated at 1000 meters or more. While these represent depths that are far greater than most divers will ever see, you definitely want a timepiece that will withstand sudden changes in pressure and one that you can be certain will work reliably at whatever depth you find yourself. Extreme water resistance has become something of a competitive feature among watchmakers, and over the years several companies have tried to outdo one another in order to see who can make the model with the greatest water resistance. There are models available from various manufacturers that are rated to many thousands of meters, including several that are rated to more than 10,000 meters. These models are filled with silicone oil, which helps the case resist the extreme pressures found at such depths. Of course, no diver is going to be wearing a watch or diving at such depths; these are merely features that allow the manufacturer to brag about their product. For those who are diving at great depths, buying a dive watch with a helium escape valve is essential. Helium can find its way into the workings of the watch during a dive and can expand during decompression, causing the case to rupture. Most dive watches that are rated at 1000 meters or more will have a helium escape valve. A rotating bezel is essential for keeping track of how long you have been diving, but it’s equally important that the bezel rotate in one direction only. That way, should the bezel get moved or bumped during your dive, causing you to lose track of how long you’ve been underwater, the error shown from the movement of the bezel will suggest that you’ve been underwater longer than you actually have. This is a safety feature. Most quality diving watches will have luminous features that will allow you to read the time even in limited light. There are two kinds of luminous watches – those that use paint containing tritium, which glows naturally, and those that use paint that glows after exposure to light. The tritium models tend to be brighter and will glow all the time, whereas those that use luminescent paint will glow more faintly the longer you’ve been in the water. The only downside of the tritium models is that tritium decays over time and has a 12 year half life. After twelve years, the watch will only glow half as brightly as it did when it was new. All good dive watches will also feature a screw-down crown, a threaded mechanism that protects the watch and ensures that water will not enter the case by way of the winding stem. While a good diving watch needs to have all of the features outlined above, there are still many variations available in the models one will find for sale. Dive watches are sold with both automatic movements and electronic quartz movements; which one you want is strictly a matter of personal preference, though the models that offer the greatest amount of water resistance are all powered by quartz movements. Luxury watchmakers are well aware that most buyers of dive watches aren’t actually divers, and that they buy them simply because they like their looks. Because of this, models are available with features that one wouldn’t ordinarily expect to find in a dive watch. This may include a day and/or date complication, or a case made of a gold or a stainless steel/gold alloy, or even cases adorned with diamonds. While these timepieces are technically capable of being used as functional dive watches, most of them rarely see water during their lifetimes. One need not necessarily spend a fortune on a good dive watch. While you can certainly spend thousands or even tens of thousands on a good model, there are many quality dive watches available on the market for just a few hundred dollars. Some will have analog displays and others will be all business and all-digital. Which one you buy is again a matter of personal preference. If you wear the watch exclusively for diving, you will want to buy one that offers the greatest number of diving-specific features as well as the greatest ease of use and visibility. If you are going to wear the watch on land and particularly if you’re going to wear it for business wear or evening wear, you may wish to take other factors into consideration, such as how it looks. Since the style was first introduced in the mid-1950s, dive watches have become quite popular among both sportsmen and watch collectors, and most major brands of luxury and designer timepieces now include several dive models in their product line. It doesn’t matter whether you’re looking for style, function, or bling, or even all three. Chances are there’s a company out there that makes a dive watch that will look great on your wrist and will work well when you’re in the water. 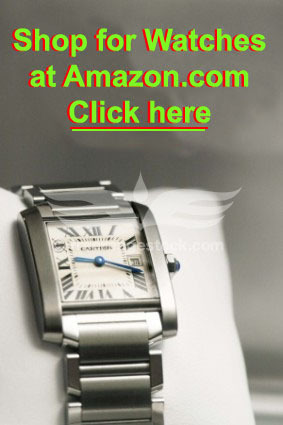 Click here to shop for dive watches at Amazon.